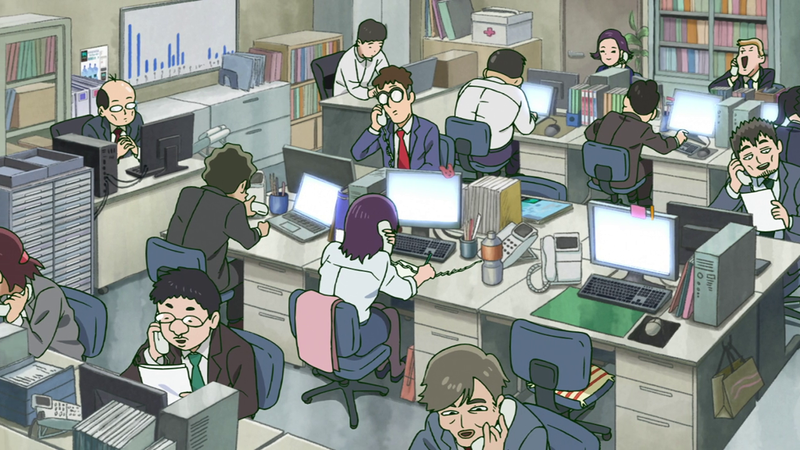 The episode opens with a busy work environment at a sales call center — a pattern of people working, various notes taped to landline phones. 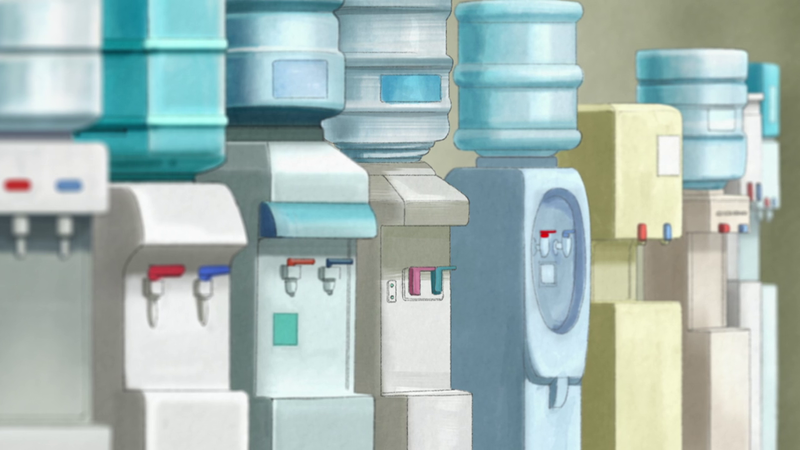 There’s a shot of water coolers standing against a wall in a line. As the chatter of various sales calls continues, we see a hand lifting up the corner of a box and a lone telephone. It’s Reigen’s last day at work. We later see a water cooler in his new, sparsely-decorated apartment, a last reminder of his previous life before he becomes a psychic consultant/conman. Reigen’s apartment takes center stage in this episode alongside the Spirits and Such Consultation Office, and the episode makes it clear visually that the latter is much more home to Reigen than the former. 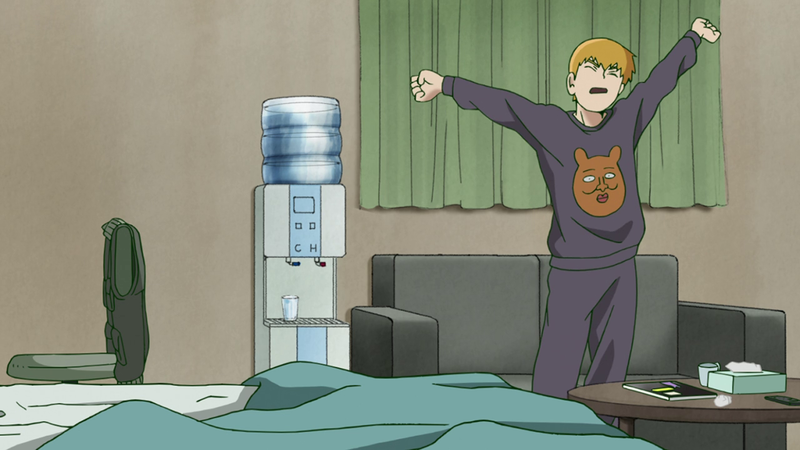 We’re first introduced to Reigen’s apartment in a flashback. It’s an empty room of possibilities following Reigen quitting his job. 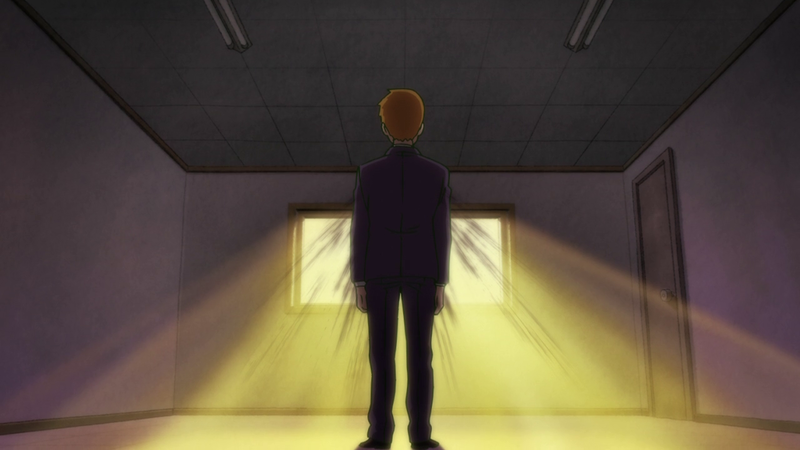 The lighting in the shot above is directly in front of Reigen, as if the world is open to him from that point on. 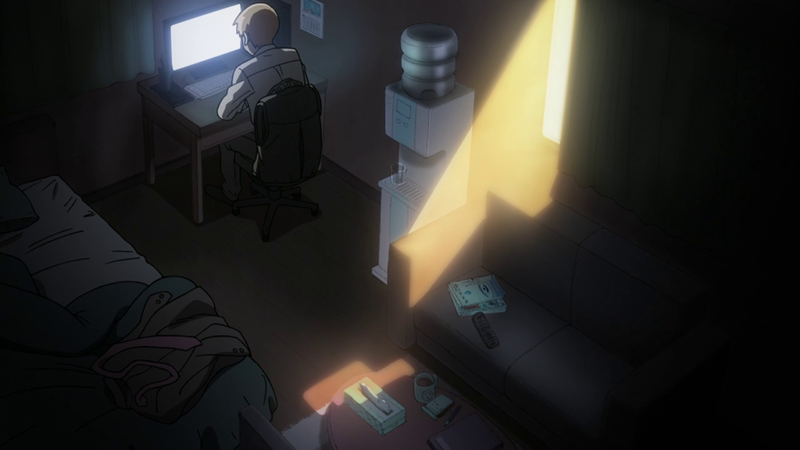 Lighting plays a large part in how Reigen’s apartment reflects his lack of emotional growth. 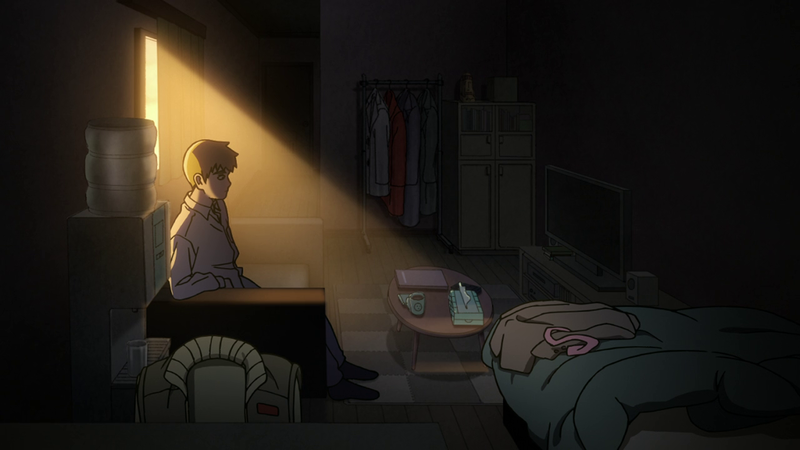 In the current setting, four years later, Reigen’s apartment is still visibly sparse even in the dim light of sunset. There is little to no decoration, and he’s not even particularly messy. The water cooler remains as the one standout piece of furniture (if you can call a water cooler furniture), a remnant of his prior, presumably soul-sucking day job. The light is always positioned behind him in the present, as if all of those opportunities open to him when he first rented the apartment are already behind him. Not much has changed since he first placed that water cooler in an empty room and decided to change careers. 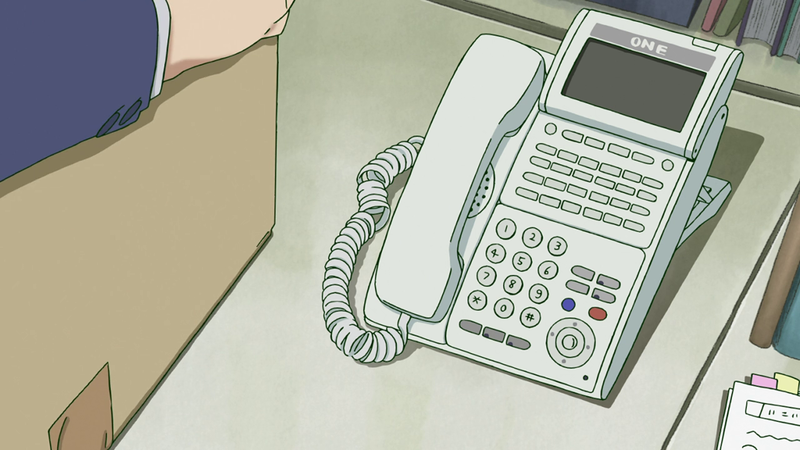 One of the most telling quiet moments of this episode comes in Reigen’s apartment as he checks “Friendbook” and finds a birthday message from his mother. There’s an audible millisecond delay before he reads the message, expressing his hesitation. She tells him that, at 28 years-old, he still has a chance to get married and lead a normal life. 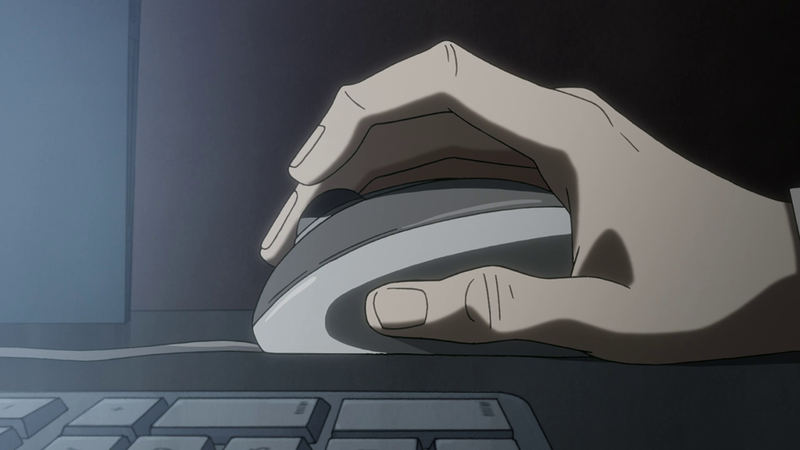 His finger trembles slightly over his mouse before clicking an attached link — an advertisement for a normal 9-5 job. We’re also introduced to an old haunt of Reigen’s, a bar where he takes advantage of people by listening to their problems, receiving an ego boost in return. 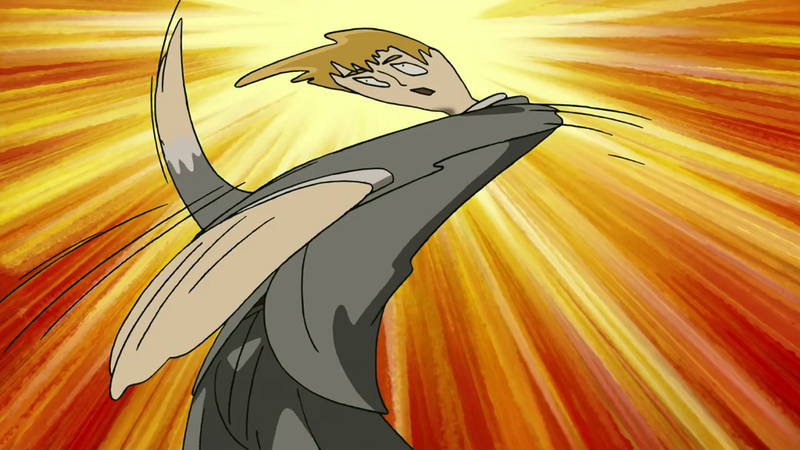 This plays into Reigen’s desperate desire to be praised and given attention. It’s natural that he would want to go here following his fight with Mob and the email from his mother, and it’s a credit to Mob Psycho 100’s masterful attention to these quiet spaces that the series doesn’t tell us anything but shows us instead. Reigen’s thoughts that these easily-tricked people are like friends to him is particularly telling and an emotional gut-punch. 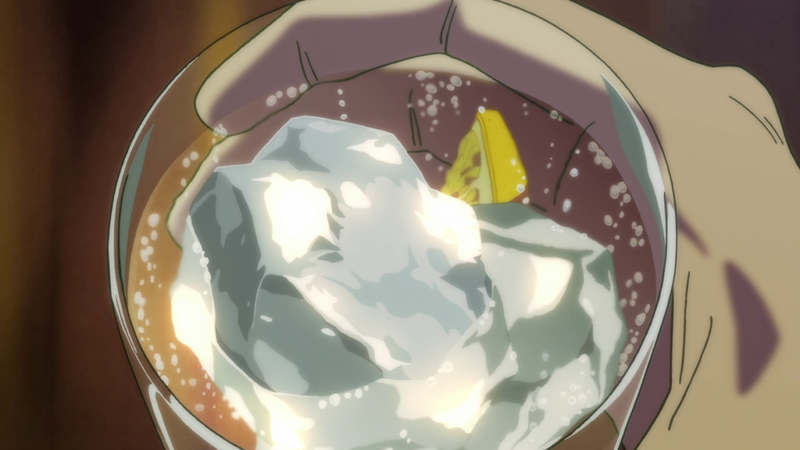 This is accompanied by lingering shots of shifting ice in his “lemon sour.” We later learn that, despite Reigen acting drunk and vomiting, there was no alcohol in this drink. In an episode that’s all about Reigen’s static emotional state — especially when in comparison to Mob’s growth over these first six episodes of the season — it’s fitting that his loud, over-the-top personality is framed by these quiet moments. His alcohol-less lemon sour, the row of water coolers, the trembling in his fingers before clicking on a message from his mother — all of these set up his emotions and thoughts. When paired with sparsely-used bursts of frenetic energy, this is masterful work.